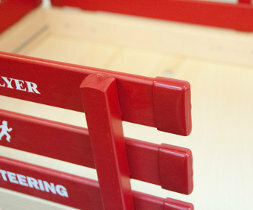 Wooden Wagons for Kids - Berlin Flyers in 8 Colors! 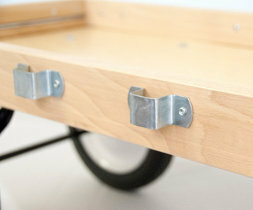 Wagons Available in over 6 Different Colors! 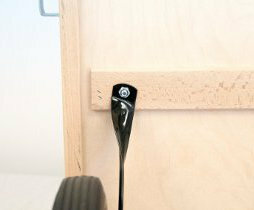 Premier Wagons, a division of Premier Wood Products LLC, is a preferred online dealer of the Berlin Flyer Wagons. 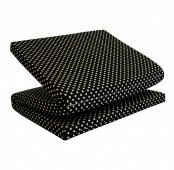 We are the only retailer with direct access to the Berlin Flyer manufacturing facility. 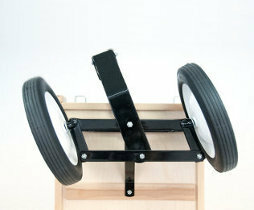 As such, our wagons will always be in stock and quickly processed for shipping. 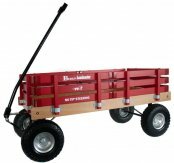 We offer the full line of wagons from the Pee-Wee Flyer to the Loadmaster - at Premier Wagons, you'll get the latest wagon models, colors, and accessories, all at competitive prices. 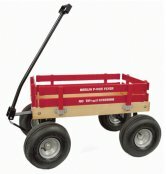 For those of you looking for a durable quality wagon, whether to use as a kid's pull along wagon or as a utility cart, Berlin Flyer wagons are what you need. 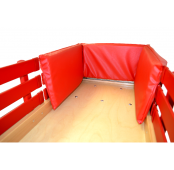 The Berlin Flyer line are the only wagons we feature on our website simply because we feel they are the best wagons on the market. 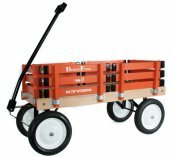 If you are tired of the cheap plastic wagons commonly found in many retail stores, check out these wagons. Wagons with the Berlin Flyer brand are manufactured in the USA, deep in the heart of Amish country in Berlin, Ohio. Berlin Wood Products, Inc. which was started by a group of businessmen including one John Yoder, first introduced the Berlin Flyer wagons in the 1970s. The business operations have since been acquired by Holmes Custom Molding whose owner, Wayne Hershberger, was employed by Berlin Wood Products while in his teens. He has since established his own business that is Holmes Custom Molding, and he continues in the rich tradition of Amish quality and craftsmanship-- the company philosphy of Holmes Custom Molding is to build the most durable wagon on the market. The passion of John Yoder and Wayne Hershberger has led to wagons that have stayed true to the traditional wooden wagon we all remember as kids, wagons with true durability that will last for future generations to come. Berlin Flyers are that wagon! 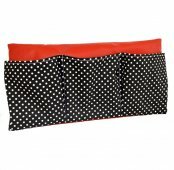 Both product and customer service are great, "top shelf!" Excluding the wheels and bolt packets, all wagon parts are made in the factory at Holmes Custom Molding-- this is an American made product with deep roots in Amish craftsmanship. 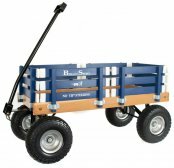 All wagons come with the Berlin Flyer registered trademark No-Tip® Safety Steering, along with easily removable hardwood side racks, pinch free handles, steel undercarriage, varnished hardwood beds, and riveted side pockets. 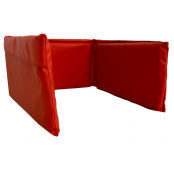 These features combine for an extremely durable and well-balanced wagon for the safety of your child.